 Love Your Postcode are your specialist estate agents in Rowley Regis: within the last quarter, we were able to sell 95% of all our listed properties for our clients. Our multi award-winning team of estate agents are dedicated to customer service and helping you with your next move. Located beneath Turner’s Hill, the highest point in the West Midlands, Rowley Regis gives you the very best of both worlds, enjoying both fast paced modern city living and traditional Black Country charm. This is truly a great place to buy and sell property; Love Your Postcode estate agents Rowley Regis would love to help you on this journey. Fifteen minutes from the Birmingham City Centre by train and just minutes from the M5 motorway links, you could not be better placed for work; and it’s an ideal location for schools too, with a choice of ‘Good’ rated local primary and secondary schools. Property prices in Rowley Regis are on the up, due to its close proximity to motor way links and good schools. New housing developments such as The Grange on Throne Road being built as Redrow homes are pushing both prices and social standards up our Rowley Regis estate agents can still help you find a great deal. Love Your Postcode have a modernistic approach to selling, by creating a unique method to sell properties both online and offline. Since the Rowley Regis market is a dynamic one, our company has set out to become one of the most important actors in this action theater. Our goals were clearly focused on quality from the beginning. The company follows a dynamic strategy based on knowing the partnership and targeting the interests and wishes of the clients in a timely manner. Because we want to build long-lasting relationships with our clients we are at your disposal with the best property services offering you the guarantee of a successful investment.